Wildlife Conservation Society has set up a nature photo competition to help showcase the Vatu-i-Ra Seascape. The Vatu-i-Ra Seascape is home to more than 300 coral and 1000 fish species. 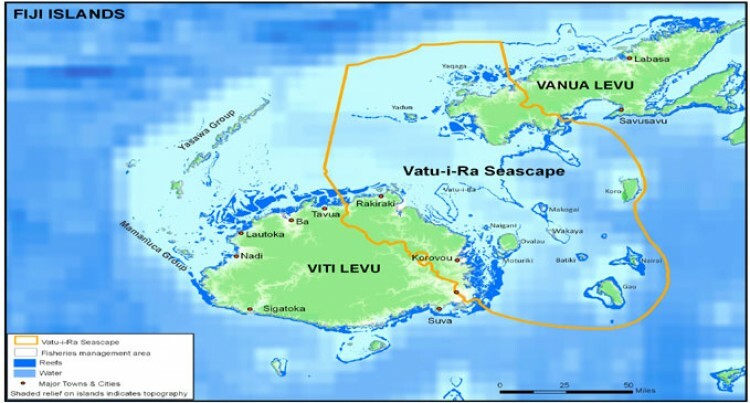 The Vatu-i-Ra Land/Seascape covers over 19,425 km2 of forests, mangroves, seagrass meadows, reefs and deep channels surrounding the Vatu-i-Ra passage. Wildlife Conservation Society has set up a nature photo competition to help showcase the Vatu-i-Ra Seascape. The Vatu-i-Ra Seascape is home to more than 300 coral and 1000 fish species. The society’s Fiji director, Dr Sangeeta Mangubhai, said the competition was open to Fijians and tourists who visited the seascape. “These will be located between Fiji’s two main islands. The Vatu-i-Ra Seascape covers the province of Bua, Lomaiviti, Ra, Tailevu and its adjacent waters,” Dr Mangubhai said. There are four competition categories – underwater critters, underwater seascapes, coastal landscapes and lastly livelihoods and culture. Dr Mangubhai said each of these categories represented different aspects of these beautiful places. The competition will remain open until April 30 and prizes will be awarded for best photographs in each category. “The winning entries will be showcased as part of a public photo and art exhibition that will open at the Fiji Museum on June 24,” she said.